Welcome to the week 4 fantasy football rankings! The following rankings have taken into account all of the most recent injuries and break out performances from week 3 to best help you set your lineup in week 4. Use the rankings as your guide for stat sit decisions and good luck in week 4! Ezekiel Elliot and the entire Cowboys offense have not looked very sharp so far this season and a lot of that has to do with injuries to the once amazing offensive line. Elliot has still managed to salvage his season with 2 TDs in 3 weeks and a performance in week 3 of over 125 yards rushing. Even though the offense looks slow I expect Elliott will be able to take advantage of the worst defense against the run in the Detroit Lions. The Lions defense have allowed 149 yards per game to opposing running backs and 3 TDs in 3 games this season. This is the perfect matchup for Elliott even if his O-line is beat up and the passing game is struggling. I expect Elliott will end up as a top 3 option at running back for week 4. Fantasy Projection: 111 yards rushing 1 TD 3 receptions for 15 yards. Vance McDonald had a monster week 3 catching 4 balls for 112 yards and 1 TD. McDonald looks to be a more explosive receiver than his counter part Jesse James, even scoring his TD on a 75 yard catch and run. I expect McDonald will continue to be utilized in the passing game more than Jesse James and always has the potential to score a TD or break a big play. 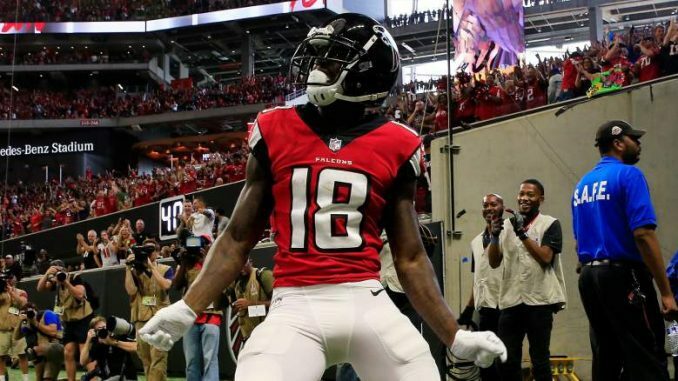 McDonald faces the Ravens this week which are the second best team against opposing receivers which is why McDonald is ranked at number 11 this week. Fantasy Projection: 3 receptions 45 yards .5 TDs.